The Village of Radium Hot Springs; Recreate, Rejuvenate, Reunite in Radium Hot Springs! The Village of Radium Hot Springs and surrounding area offers golf, skiing, hiking, wildlife watching and much more! Participate in one of many events or community programs hosted in the Village of Radium Hot Springs. Soak in the hot springs or, just watch clouds roll across the high peaks and listen to the wind in the pines. Located in the Columbia Valley on a high ridge with its back to Kootenay National Park and long views toward the Purcell Mountains to the west, photo-friendly Radium Hot Springs is an outdoor recreation destination, but more than that it’s a feel-good place where nature’s four season spectacle shapes the spirit. With a permanent population of 800 people and a summer population of 5,000 people, The Village of Radium Hot Springs vision is to be an authentic, environmentally-focused mountain resort community with a dynamic mix of full-time population, daytime enterprise, and recreational property owners, expanding atmospheric tourism services, and a long list of community and valley recreational pursuit that drives motivation to visit or move to the area. 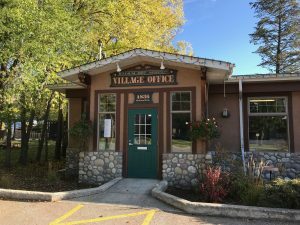 The Village of Radium Hot Springs has a variety of facilities that can be rented for many different activities. 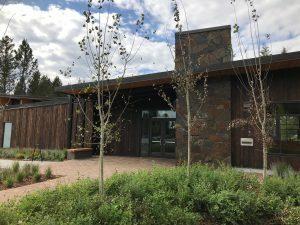 The new Radium Hot Springs Centre, opened in the summer of 2018, is home to the Radium Hot Springs Public Library, as well as a main hall (200 seating capacity), a kitchen, stage area and multipurpose room.